Assassin’s Creed Pirates is an action game for android. 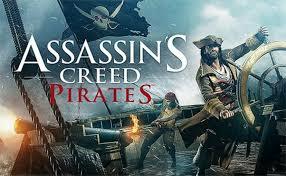 Download Last version Assassin’s Creed Pirates APK + MOD + Data android from RevDl with Direct Link. Assassin’s Creed Pirates is a game where players take on the role of the young pirate captain Alonzo Batilla, one of the most feared and ruthless pirates of the Caribbean. Meet the most notorious and colorful pirates of the era, including Sam Bellamy, Ben Hornigold and Blackbeard!Assassin’s Creed Pirates is fully compatible with tablets.Game available in: English, French, Italian, German, Spanish, Brazilian Portuguese, Chinese, Japanese, Korean and Russian. please upload the mod 1 and 2 file. i cant find it in download page. Mod but no hack ? Thnx for ur effort but the mod is running like normal game! If play online, it will be original version? If you dont understand about the instalation read this !! I have to download both mod app and data from revdl website after this IT will work?????? i dont understand for install this game. can you share step by step for installation this game? 3-open EsFileExplorer and go to the downloaded file. 6-install the apk and run. Can you share us Installation Guide ? if i download not mod apk . the game is online ? can i play this offline sir?? Keeр on writing, greɑt job! since i like to gaіn knowledge of more and more.